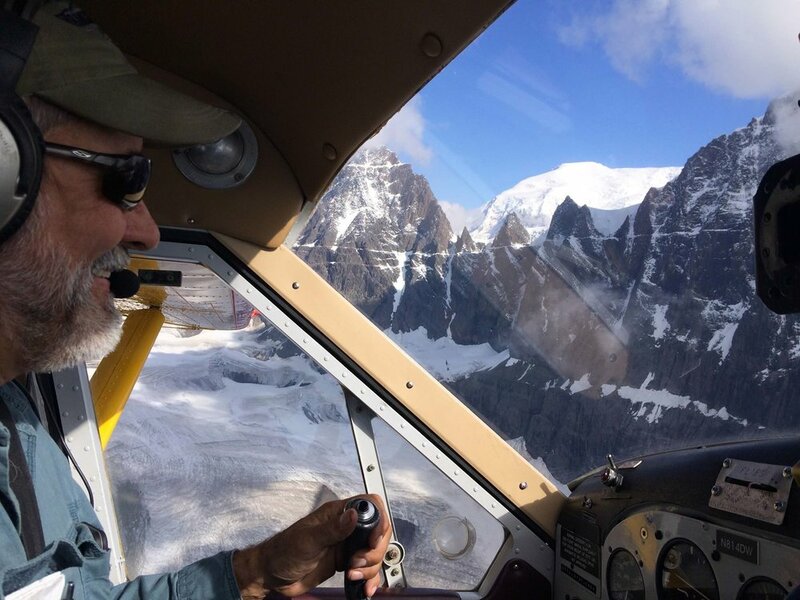 Wrangell Mountain Air founder, Kelly Bay flies the DeHavilland Beaver around Castle Peak. 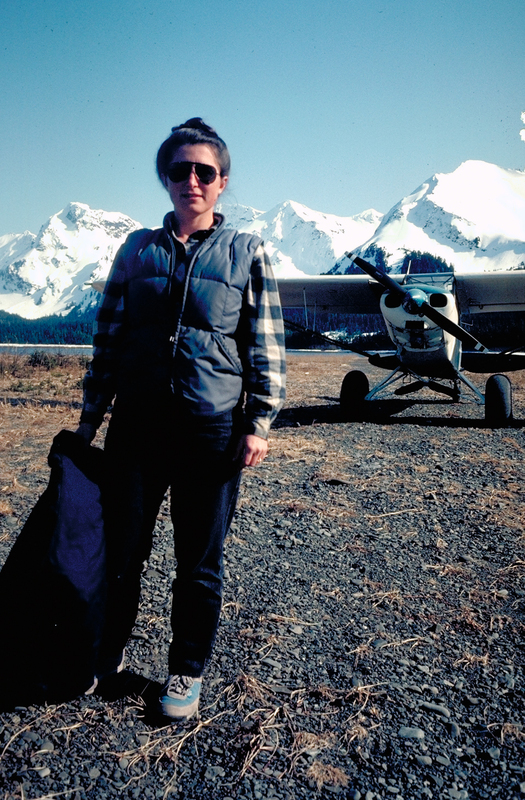 Founder of Wrangell Mountain Air, Natalie Bay with their super cub. Founded in 1992 by husband and wife, Kelly and Natalie Bay, Wrangell Mountain Air has provided safe and reliable transportation to the McCarthy area for 25 years and counting. The couple grew the business from just the two of them flying and running the show to a six-pilot, seven-airplane operation. Ready to retire, the two stepped aside and now enjoy much-deserved rest, (aka fishin’ trips and flyin’ fun). They continue to mentor the new owners and pass down their extensive knowledge of Wrangell-St. Elias National Park and backcountry particulars. Our location provides easy and affordable access to what has been called “North America’s Mountain Kingdom” as well as “the Himalayas of North America,” and it is no wonder; this vast area includes numerous mountain peaks from 14,000' to 19,550', uncounted glaciers and the largest ice field in North America. With over 20,000 square miles of roadless wilderness, flying is the only way to see and experience the extensive wonders of the park.